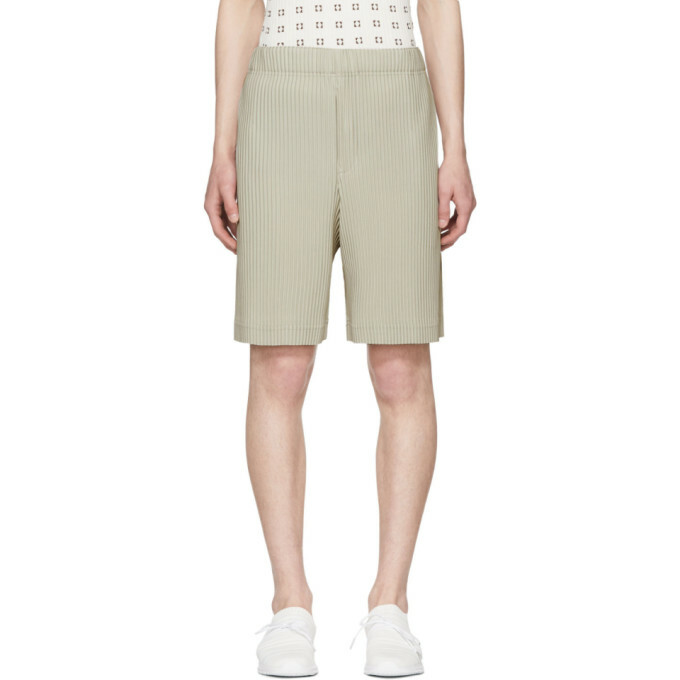 Slim-fit garment-pleated shorts in 'bone' beige. Mid-rise. Two-pocket styling. Concealed drawstring at elasticized waistband. Button fly. Tonal stitching. 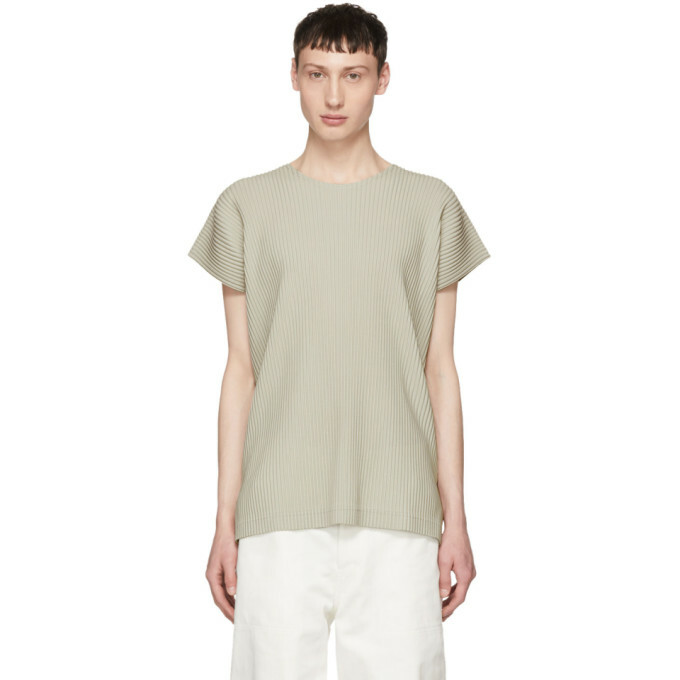 Short sleeve garment-pleated t-shirt in 'bone' beige. Crewneck collar. Vented side-seams. Tonal stitching. 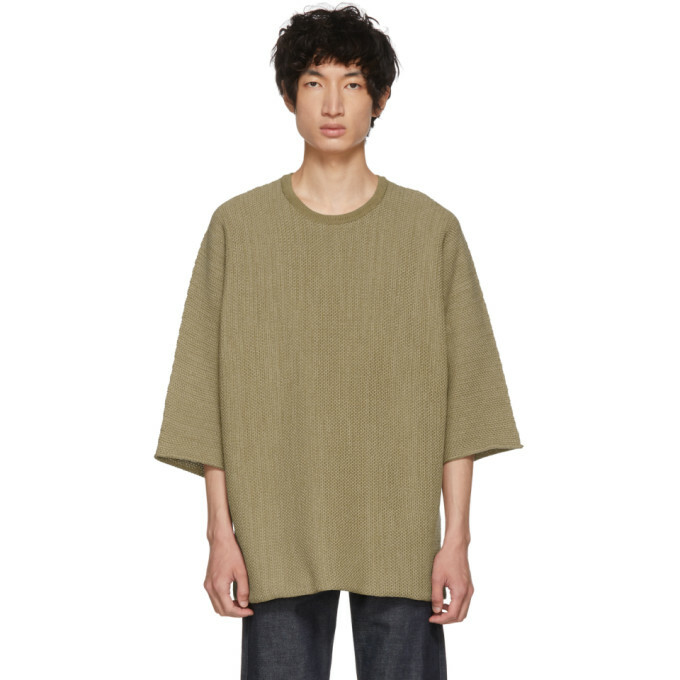 Three-quarter sleeve knit cotton-blend t-shirt in beige. Rib knit crewneck collar. Dropped shoulders. Rolled edge at cuffs. Tonal stitching. 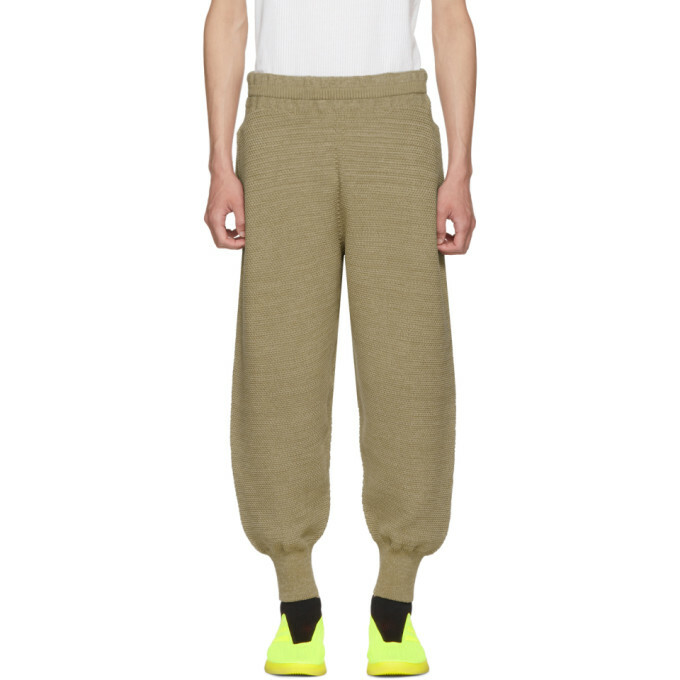 Relaxed-fit 'rustic' knit cotton-blend trousers in beige. Mid-rise. Two-pocket styling. Concealed drawstring at elasticized waistband. Rib knit cuffs. Tonal stitching. 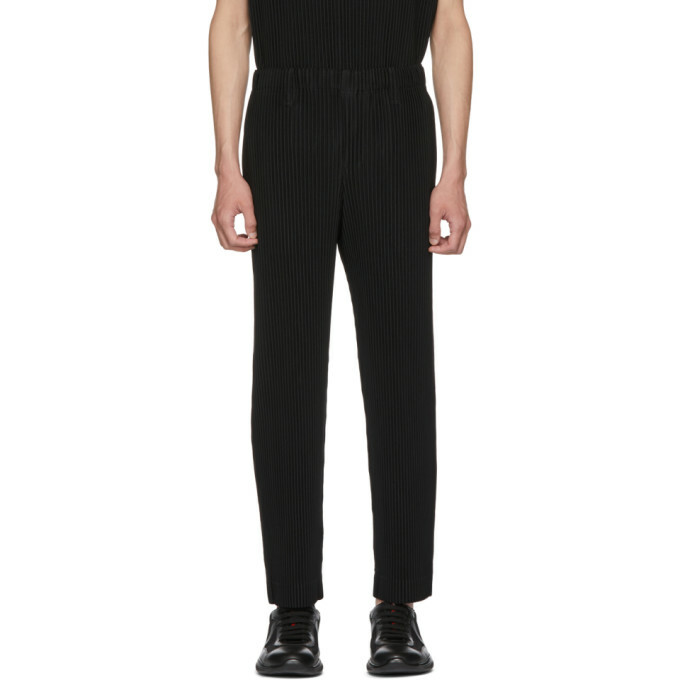 Straight-leg garment-pleated trousers in black. Mid-rise. Two-pocket styling. Button-fly. Tonal stitching. 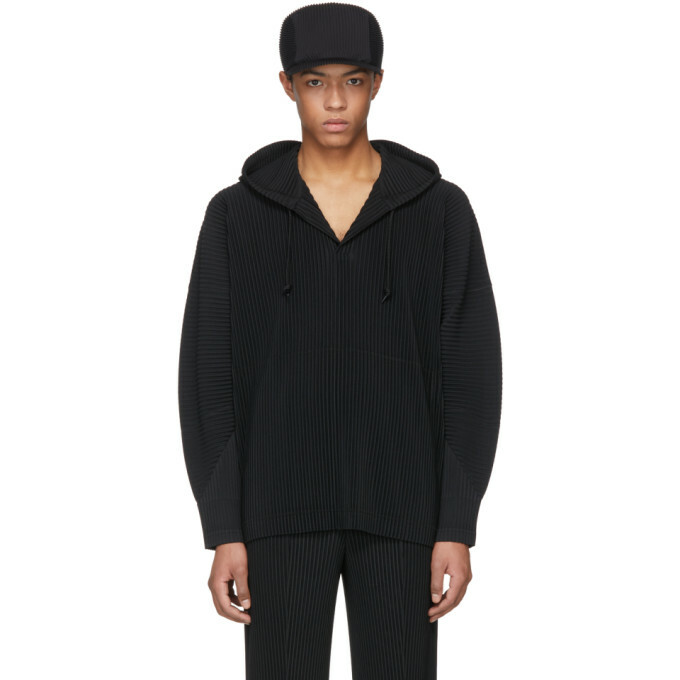 Long sleeve garment-pleated hoodie in black. Drawstring at hood. Kangaroo pocket at waist. Tonal stitching. 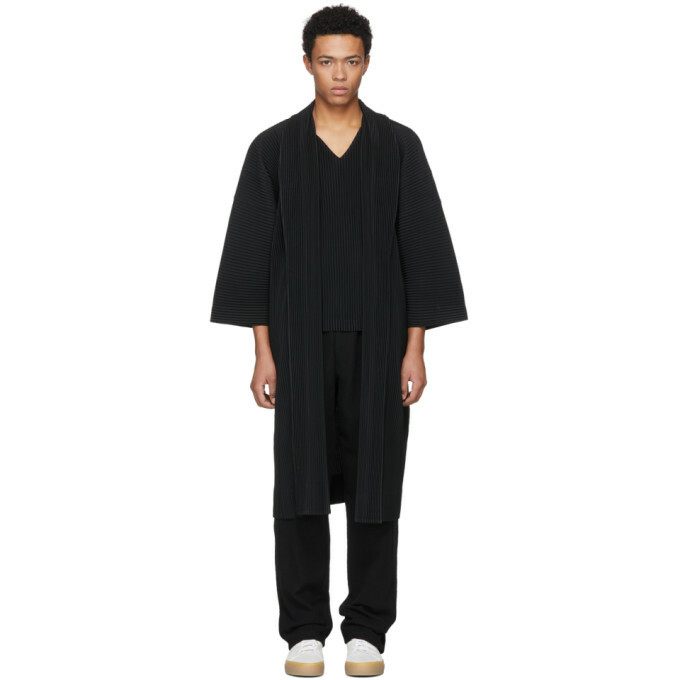 Long sleeve garment-pleated coat in black. Shawl collar. Open front. Welt pockets at waist. Tonal stitching. 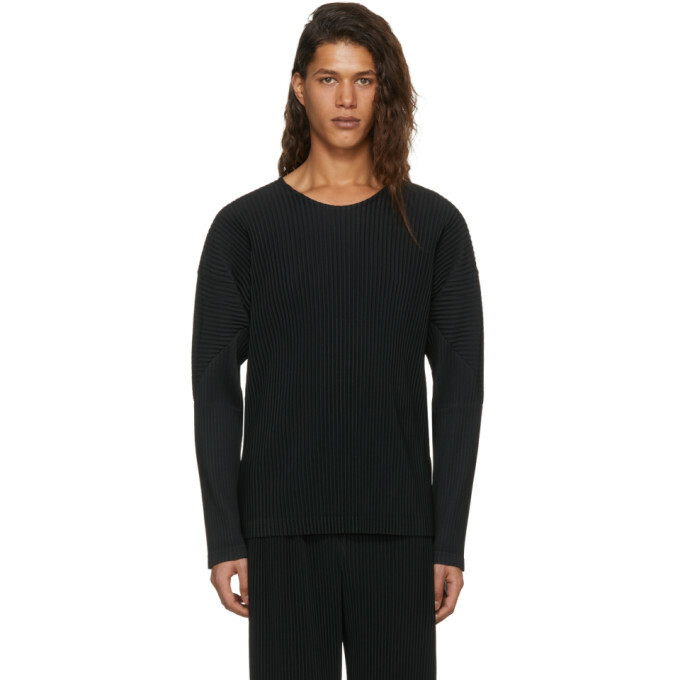 Long sleeve garment-pleated t-shirt in black. Crewneck collar. Tonal stitching. 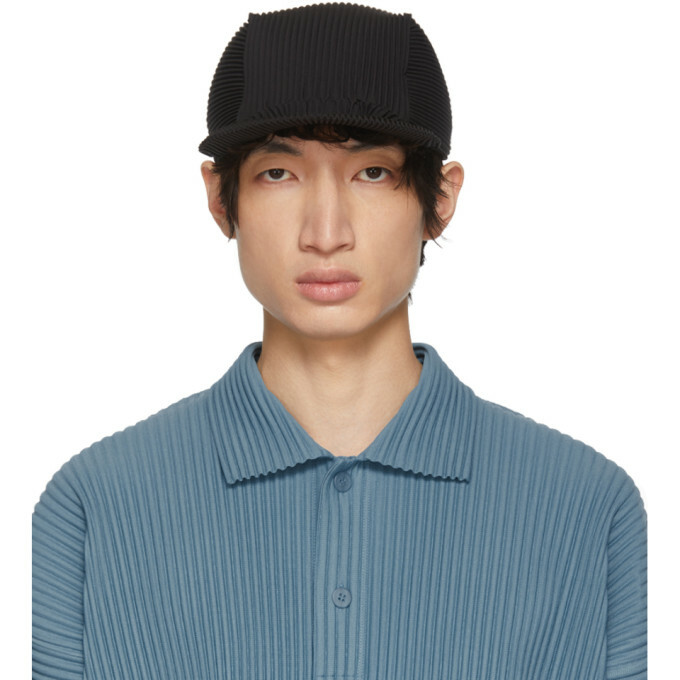 Garment-pleated cap in black. Tonal grosgrain brow band. Tonal stitching. 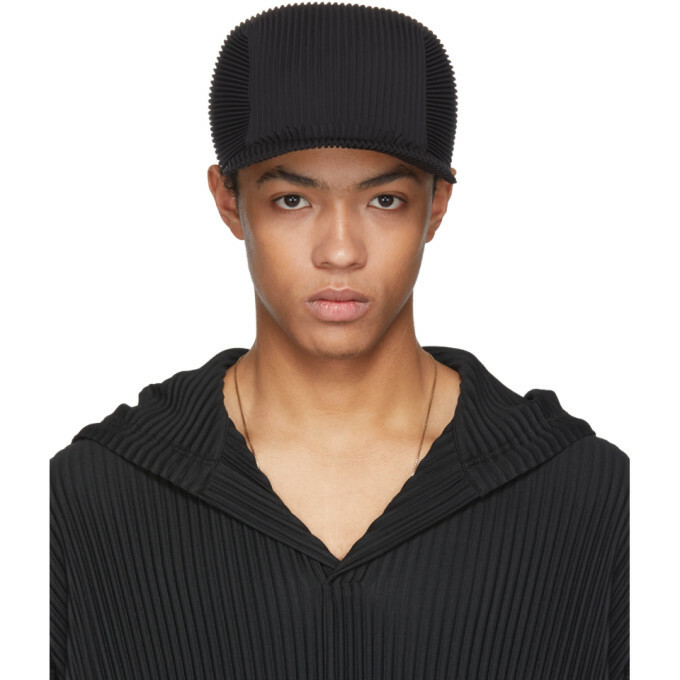 Garment-pleated textile cap in black. Tonal grosgrain brow band. Tonal stitching.